American Legion Yardley Post 317 - Times Publishing Newspapers, Inc. The American Legion is the nation’s largest effective and dependable advocate of veteran affairs. Since 1919, Legionnaires have fought for the rights of servicemen and women. Today they stand as 2.7 million members with over 200,000 Legionnaires in Pennsylvania. If you have served honorably during any eligible war eras or are on active duty today, serving honorably, become a member of The American Legion. *Presently August 2nd, 1990 – present. These are veterans just like you who care about America, veterans, their families and our nation’s youth. Membership offers many benefits that include involvement in community programs, investment in children activities, education, and camaraderie with their main focus on veteran’s rights and their families. The American Legion offers Member Discounts and Benefits through their National Organization: Insurance and Health Services, Financial Services, Travel Discounts, Moving and Home Discounts, and many more. Your involvement in the American Legion can mean many things to many Legionnaires. The programs, committees, and events that they are involved in are diverse as: politics and legislative concerns, children and youth programs, community service, Legion Baseball, and striving to help fellow Veterans. Yardley Post 317 has various groups within their American Legion family. 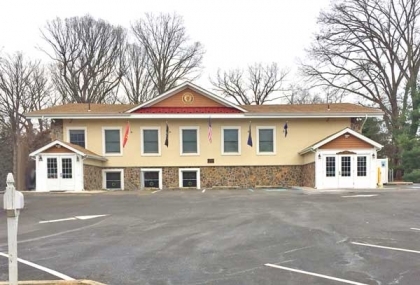 The Sons of the American Legion, also known as the “S.A.L,” is open for membership to any male who has not served, but has a parent or grandparent who is/was eligible to be a Legionnaire. Their Auxiliary is open for membership as well for anyone who has a spouse, parent, or grandparent, who is/was eligible to be a Legionnaire. All of their Post members work together as a family to help fellow veterans and the community. Visit them at 215 S. Main Street in Yardley; take a look at their hall; visit the Canteen; meet some of their friendly members; and become a part of their great organization. If there are any questions contact their Commander Ted Smith at 609–510-3125 in NJ, Alpost317@gmail.com, or visit their website at yardleypost317.org.